Since the ’70 several new bicycle disciplines have seen the day of light. Bicycle Moto-Cross (BMX Race), BMX Freestyle, Road Bicycle Down Hill racing (special prepared BMX bikes, no paddles, only brakes), Formula One road race-bikes (20” wheels and gears), Bicycle Trial riding, MTB down-hill, MTB Dual Slalom, MTB 4 cross just to mention a few disciplines. Have you ever heard of Cycle Speedway? As in BMX (a copy of stadion motorcycle moto-cross), cycle speedway can be seen as a copy of motorcycle speedway. Since I know just a little about this sport, I want to share this knowledge with you, because it might add a new dimension to cycling sport in general, world-wide. 1968 - How bmx started in the USA. The film ON ANY SUNDAY trickered off the start of BMX racing. Demo's in that motorcycle film on a BMX bike by Bob Hannah. 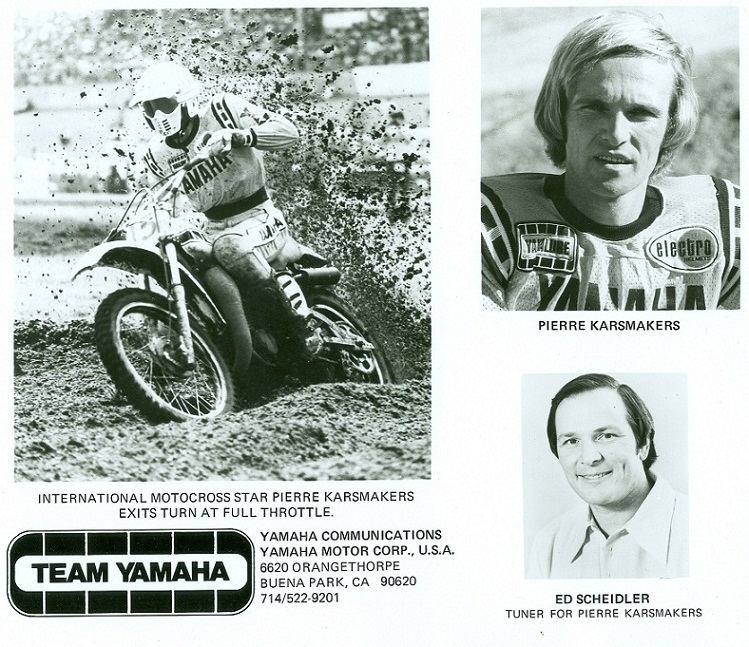 Bob Hannah became America's most famous moto-cross star in the 250 cc Class in the '70s and was team-member of Pierre Karsmakers (GD: my brother in law) in the USA Yamaha motocross team. Pierre started to import BMX bikes and parts early 1976 and was the first official importer in Holland of special BMX stuff. 1975 - The NBL - National Bicycle League (USA) of George Esser, now holding around 284 members, separated from the NML and went its own way! As motorcycle enthusiast, I had a subscription on an English newspaper called MOTOR CYCLE NEWS. In its July 16th. issue I found an article on (as they called it at that time) MOTO BIKING. 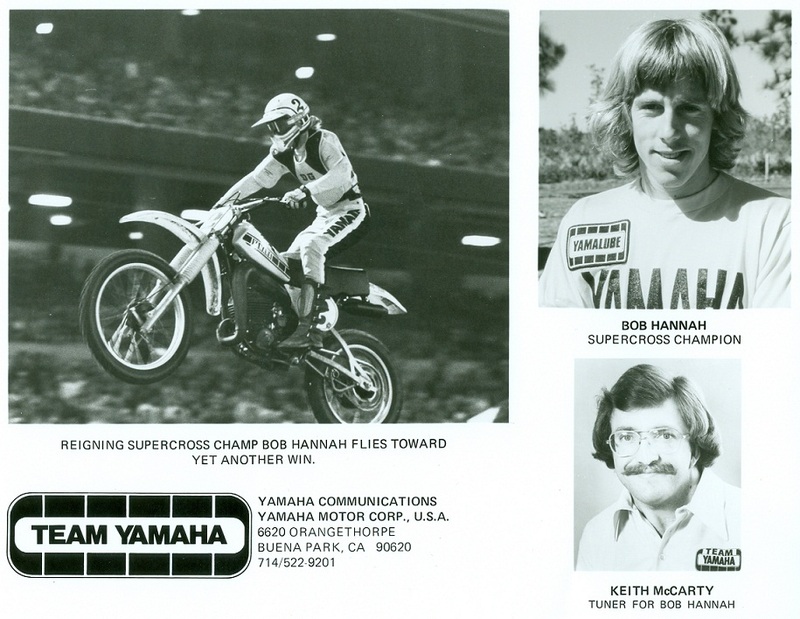 Mitsui's bicycle division of England, were busy importing a so-called YAMAHA MotoBike (BMX). Mr. Mick Robbins of Mitsui stated that "the machine" would be definitely for sale before Christmas that year. Retail price for this complete bike ..... 100 pounds Sterling!!!! Mr. Robbins stated that in the USA this new sport was really catching on and could have a good future in England and Europe as well. Bikes would become available anyway ending 1975. 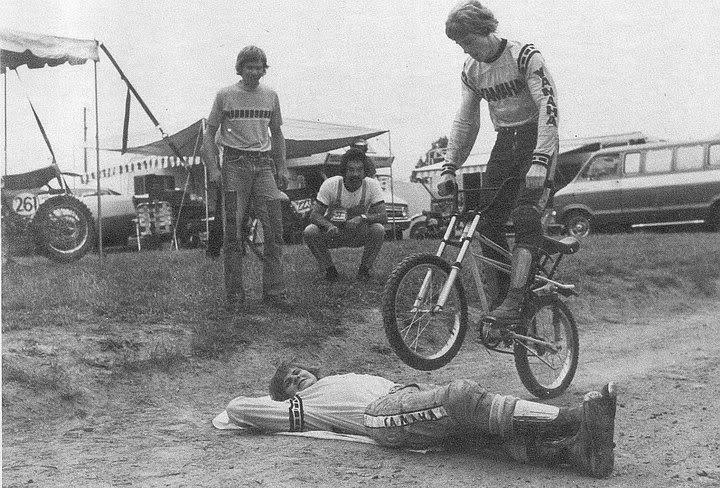 1978 - Europeans discover BMX in the USA. The ABA makes the decision to expand nationally. First ABA national race held in Azusa, California. First large pro purse ($1,000.00) offered at a major race by the ABA. Kyle Flemming became ABA's first number 1 Amature. Kyle was riding for DG at the time. A couple of years later, Kyle was killed in a car-train accident going with 3 others to a BMX race. I will come back to this tragic event later on. Again, this was the year I got involved in BMX seriously. I organized the official introduction of the sport of BMX during the international moto-cross event at Valkenswaard in March 1978. A group of about 10 riders did give a demonstration of BMX racing. An unofficial BMX organization was founded (not registered/recognized by the official authorities) on May 16th. 1978 by yours truly, called: "Eerste Nationale Fietscross Organisatie" (1st National BMX Organization). Around this time, I contacted the municipality of Eindhoven with the request to put at our disposal a piece of land on which a track could be build. In the meantime, I got in contact with Louis Vrijdag (whom I knew from the moto-cross sport), at the time he was working for the municipality of Eindhoven, who also learned about this BMX activity because of his job. Louis and I found eachother and understood each other well and this cooperation led to the foundation of the S.F.N. "Stichting Fietscross Nederland" later on this year. This is the year BMX in Switzerland (German speaking part of the country) got organized as a competition sport by Mr. Franz Hattan. Franz owned a bicycle store in Malters (Lucerne). He discovered BMX about 4 years earlier in Great Britain. He "imported" BMX in Switzerland and started to promote BMX during markets and such. The unofficial organization did holt around 40 license holders in its starting year 1982. South American BMX developments and specially in the leading country Chile, was very strong. The existing C.B.X. was transformed into the F.CBX. - Federacion Chilena de Bicicross and this organization was officialy recognized by the Chilian government in 1983. The Executive President at the time was the excellent Mr. Ruy Barbosa, one of the first directors of the sport in Chile (at present-2001, president of the UCI-BMX Committee). Later this year, Chilian riders did win four world-championship titles during the first I.BMX.F. World Championship at Dayton - Ohio in August 1982. These titles helped a lot promoting the sport in Chile. Getting organized in Chile is very hard, due to the fact this country is stretched out along a 4000 km long coastline. 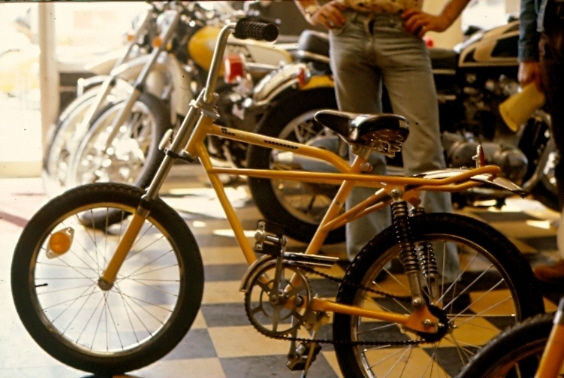 During 1982, the New Zealand Government allowed CroMo tubing into the country and Pantha (factory) put out a truly NZ designed and made CroMO frames. 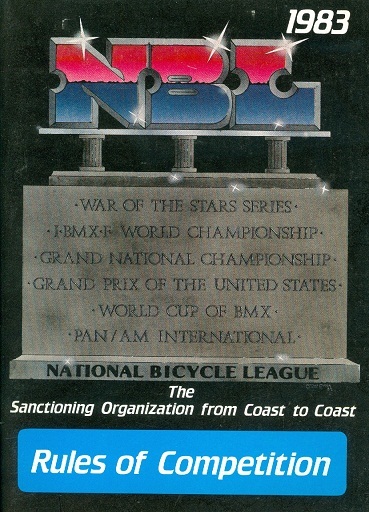 January 1983, the NBL - USA issued their new rulebook. January 1983. The I.BMX.F. race calender 1983 was issued and distributed. In 1983 a series of International events were named, the "STARTRACK 1" series. March 19th. - International BMX race in Valencia - Spain.